Not long after S&C Electric’s David Chiesa coined the phrase about five years ago, it became something of a mantra at industry conferences and discussions. The converse of “if you’ve seen one, you’ve seen ‘em all,” it was shorthand for explaining a market problem. Developers were building microgrids in a one-off fashion — an approach that unfortunately made microgrids available to the few and not the many. Almost every microgrid was unique. So the industry lacked replicability, stifling its ability to grow, drive down costs and achieve scale. Now, however, it is time to retire the phrase, according to Chiesa, who serves as S&C Electric’s senior director of global business development. What’s changed? In short, the industry has begun to standardize production, creating what S&C calls the modular microgrid. Once Edison got it right, he had to figure out how to reproduce his one expensive, prototype lightbulb in a repeatable and systematic manner. “That makes it affordable for everyone else,” Chiesa said. Once it’s affordable, then the product can become profitable, the basis for most businesses. But that’s not enough for success. The product also must be easy to use. “If it wasn’t for the standard lightbulb socket, would the lightbulb ever have taken off?” Chiesa said. What’s the corollary for microgrids? 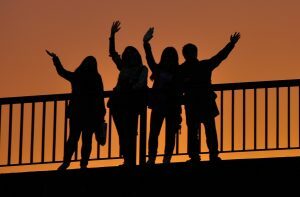 Microgrids — at least today’s software-driven, multi-faceted, smart kind — are relatively young in product evolution. Five years ago, S&C Electric was an early player in the space; now its microgrids are emerging from the 1,000 lightbulb stage. “We’ve put together several ‘lightbulbs.’ Oncor was a lightbulb. The SPIDERS projects were lightbulbs. Ameren was a lightbulb,” Chiesa said, referencing some of the microgrid projects that S&C has worked on. The company began to see ways to standardize as it developed a microgrid for Illinois utility Ameren, unveiled last year. In doing so, S&C uncovered its “mass production lightbulb” and applied the knowledge, making the Ameren project its first modular microgrid, he said. With a 160‐foot wind turbine, solar panels, energy storage, natural gas generators, advanced controllers and switchgear, the Ameren project is sophisticated. Yet, S&C completed its work – from purchase order to energizing the microgrid — in just six months. S&C achieved the fast turnaround by applying what it had learned from its if-you’ve-seen-one-microgrid, you’ve-seen-one-microgrid successes, Chiesa said. This included installing pre-engineered packages that had been pre-tested before arriving on site. What’s in a modular microgrid? From there, S&C conceived other elements of the modular microgrid, one that uses standard S&C switchgear, relays, interconnection components and industry communication protocols. What’s important is that many utilities — S&C’s primary customers — already use this equipment elsewhere on their systems. “So when their line crews roll up on an S&C microgrid they are always going to see the same components, and they are going to be components they are familiar with,” Chiesa said. This is the equivalent of the standard lightbulb socket for S&C – it’s made the product easy to use. One component, however, is likely to be new to workers, the microgrid controller, the brain of the system that allows the microgrid to perform sophisticated tasks, like islanding, distinguishing it from conventional distributed energy. Chiesa sees this as only a temporary issue. Once workers are trained on the S&C controller – what it calls the GridMaster – they will find it always functions the same way, Chiesa said. So if workers learn to work with one GridMaster they can work with any other as more S&C microgrids are added to the utility’s system. Standardization creates clear value — making products more affordable and quicker to build. But today’s consumer is enanmoured with the idea of customization — it suggests a product suited exactly to their needs. So will the utility, university, hospital, manufacturer, community or other likely microgrid candidate bemoan its loss? Only the bones of the modular microgrid – the protection, control and distribution scheme — become part of the standard package; the distributed energy is not. This leaves the element of the microgrid often most important to the customer – especially those that are green-leaning — to their choosing. Size is also flexible – up to 50 MW. 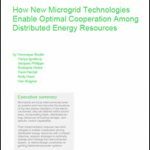 If customers need larger systems, they can deploy additional microgrids. He compared building a modular microgrid to his experience of buying a ‘custom’ truck online, where the manufacturer allowed him to choose from among dozens of features. From his point of view, he got exactly the Dodge Ram he wanted, but in reality the base truck rolled off an assembly line. “Here’s the deal, could I have afforded a Ram 1500 that was built by a custom truck manufacturer if there was no assembly line. How much would that have cost?” he said. The modular microgrid also opens the doors for industry vendors to collaborate on projects and install their components. “We take the hard stuff out of it, and let everybody focus on what they are best at. We focus on what we are best at — medium voltage, switching and control and we let them focus on what they are best at — making engines, making energy storage, making solar,” he said. The bottom line will be less expensive, quicker microgrid installations. Decreasing the complexity should also make financing easier, he said. Here comes the modular microgrid. Why it might change everything. 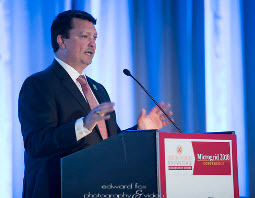 “Microgrids just don’t have to be that complex, they really don’t. We understand all of the pitfalls and have worked through them, so we can make this pretty easy for the customer,” he said. S&C isn’t alone in moving toward standardization; others also see it as the way forward, particularly those building simpler microgrids. Companies like Go Electric and BoxPower are offering microgrid-in-a-box systems. Craig Wooster, general contractor for the Stone Edge Farm Microgrid Project, offers a microgrid-in-a-day. Track news about the emergence of modular microgrids. Subscribe to the free Microgrid Knowledge newsletter. This makes a lot of sense. Although not specifically mentioned in this article, I believe, in addition to the microgrid controller, the other key components that enable stable microgrid operation are the controllable battery, the controllable back up generator, and possibly controllable loads. The renewable energy components are normally not controllable and can only provide supplemental energy since they are intermittent and not dependable for reliable grid operation. Without dynamic generation and load balance, the microgrid would not be stable and may crash easily. But with a properly sized controllable back up generator and/or storage battery, it is fairly easy to make a microgrid work.